Kathryn Sullivan, the first American woman to walk in space, was one of Time magazine’s 100 most influential people in the world in 2014. 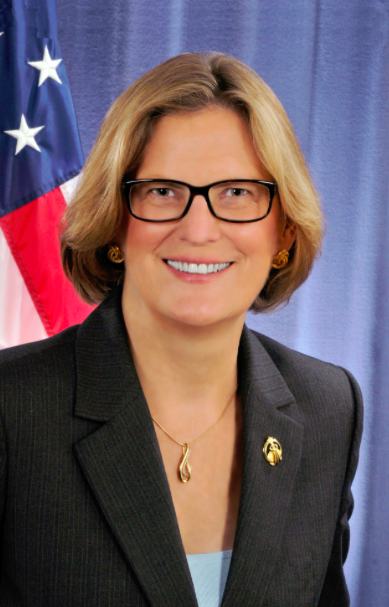 This recognition came from her work with the National Oceanic and Atmospheric Administration (NOAA), where she is now Administrator as well as Under Secretary of Commerce for Oceans and Atmosphere. After earning a bachelor’s degree in earth sciences and a Ph.D. in geology, Dr. Kathryn Sullivan was selected as one of the first women astronauts. In addition to being the first woman to walk in space, she was also on the mission that deployed the Hubble telescope. During her three shuttle missions, she logged over 532 hours in space. During her space missions she conducted scientific experiments, combining her love of flying with her academic background. An accomplished oceanographer, Dr. Sullivan has a wide range of expertise. She has worked on mapping services, satellites, space weather, ocean observations, fisheries biology, satellite instrumentation, marine biodiversity, and climate change. Dr. Sullivan is a woman of both air and water. Her achievements in both fields have been recognized with many awards, but perhaps the best example of her wide-ranging abilities came in 2004. In that year, she was entered into the Astronaut Hall of Fame and received the Adler Planetarium Women in Space Science Award.